Another innovative Filipino designer has been given an amazing chance to cross over to the global scene. Francis Libiran showcased his gown creations through an America's Next Top Model episode. In the process, three other Filipino talents have also been given the opportunity to represent what Philippines has to offer in a POSITIVE way: Anne Curtis as the model, Mark Nicdao as the photographer, and Robbie Pinera as the makeup artist (love his REBEL shirt!). Another thing to note of is that one of ANTM's producers, Michael Carandang is actually Pinoy as well! But let's focus on the gowns for a second, shall we? LOVE LOVE LOVE all the four rebellious gowns! Can someone PUHLEASE rock a Francis Libiran anti-white gown on the aisle? Which one is your favorite? Mine is obviously the electrifying turquoise gown followed by the breathtaking gray gown! **Apologies for the picture quality--we only grabbed screencaps from the behind-the-scenes video. 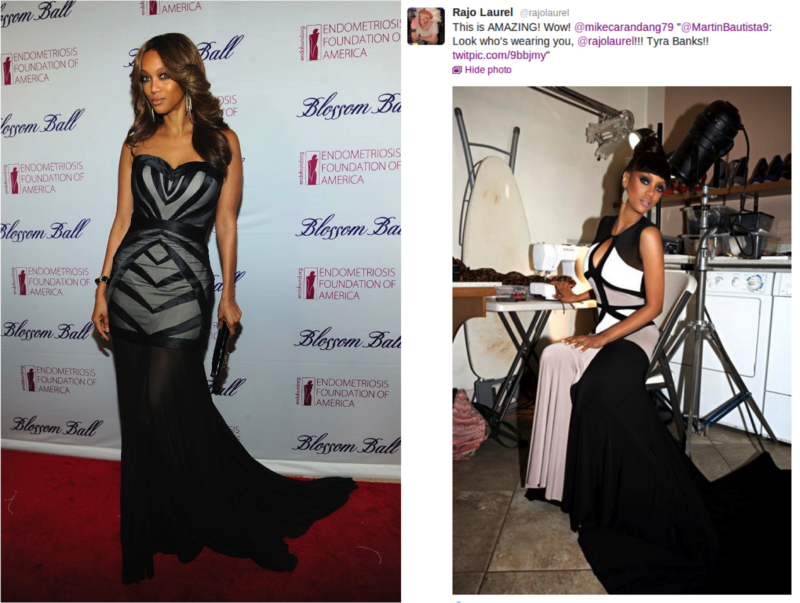 Separately, Tyra Banks showed some love and support for the Philippines! She wore her own Francis Libiran gown at the Blossom Ball in New York (where she was heralded as one of the best dressed of the night), and a Rajo Laurel piece during an ANTM episode. Here is the BTS video of the Francis Libiran photo shoot so you can dream and drool over the gowns some more! I like the second last pic.